In a day and age where with just a few keystrokes one can purchase almost everything, how does a store owner get customers in the door? Tiffany Cruickshank, owner of Peak Running and Peak Running with a Twist, has figured out a great model – become as educated as possible on your products, engage the community, and sell beer! Tiffany really found her love and passion for running after her kids were born, and she used it as a way to both escape the stresses of everyday life as well as build a better connection with her children. “It was easy to load them up in a running stroller and just go.” Tiffany continues, “I found the love for it and started running marathons, half marathons, and trail races.” When she heard of an opportunity to purchase a running store, she and her husband went to look and see. “We thought, ‘if we are going to do this, we are going to start from scratch,’” says Tiffany. Shortly thereafter, Peak Running was born! The plan was simple- become educated on the body, learn the ins-and-outs of the foot’s mechanics, and really study and test the products so that no matter who comes through the door they can be serviced at the highest level. Tiffany and her staff back this up by being avid runners themselves and personally testing all of the shoes that can be found in the stores. From 5K’s to Trail Races to Ultra-Marathons, the staff has put countless hours in on all types of terrain so that they can offer amazing insight to everyone on the fit of each shoe. However, simply operating a business is not the goal of Peak Running. “We love community and grass roots, and that’s how we’ve built our business.” She continues, “Charity and community events are very important to us!” From hosting events benefiting the American Cancer Society, Walk for Autism, the Humane Society, local literacy programs, and many others to the various running clubs they host – Peak Running is committed to their communities and growing because of it. With growth comes new ideas, and the idea that has really separated them from everyone else is a little twist on the normal running store. 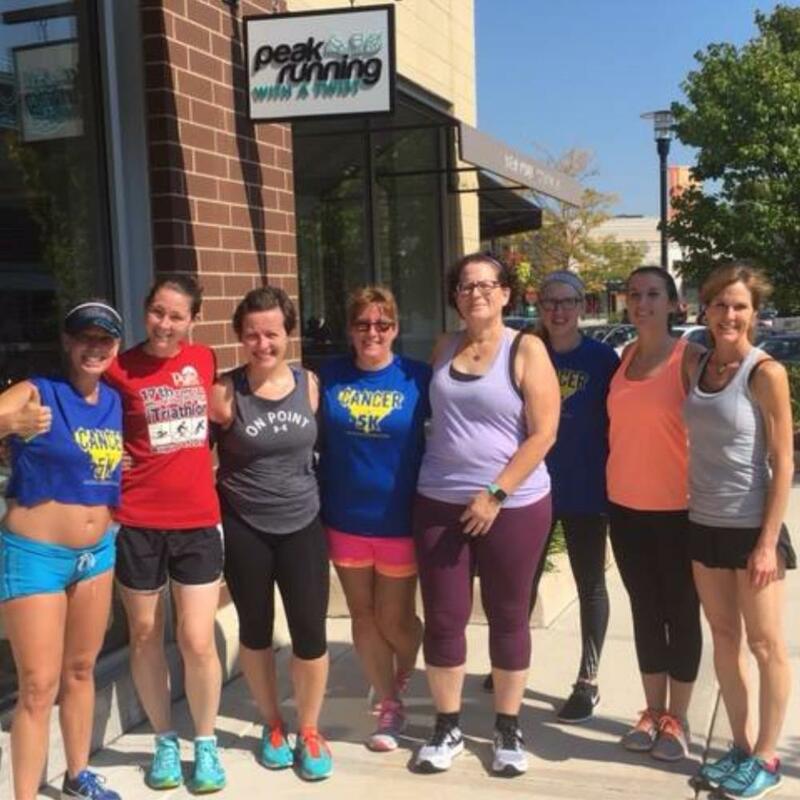 That “twist” was to open their second location – Peak Running With a Twist. Not only does this location do everything the original does; it also has a bar within the store! 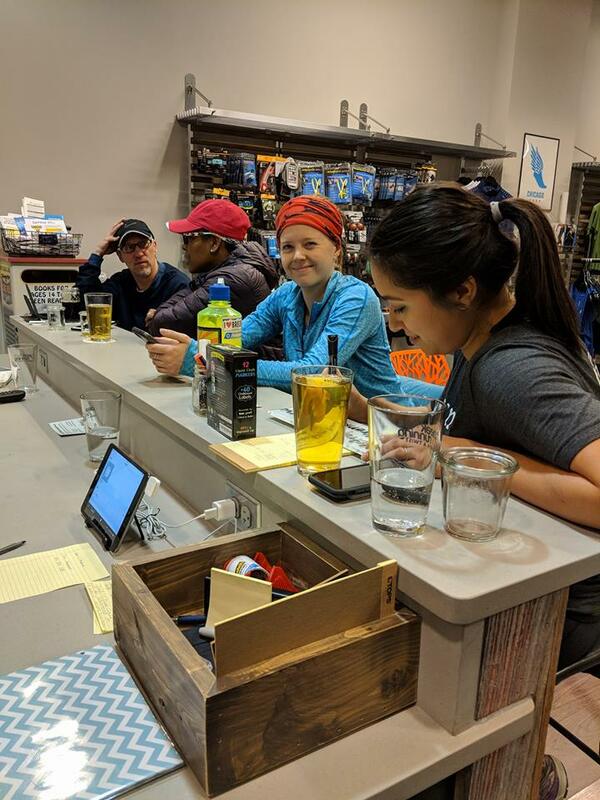 With a variety of brews on tap and wine for those who prefer a glass over a mug, Peak Running With a Twist is the perfect spot to grab a drink, pick an employees brain, and go home with the perfect shoes all under one roof. 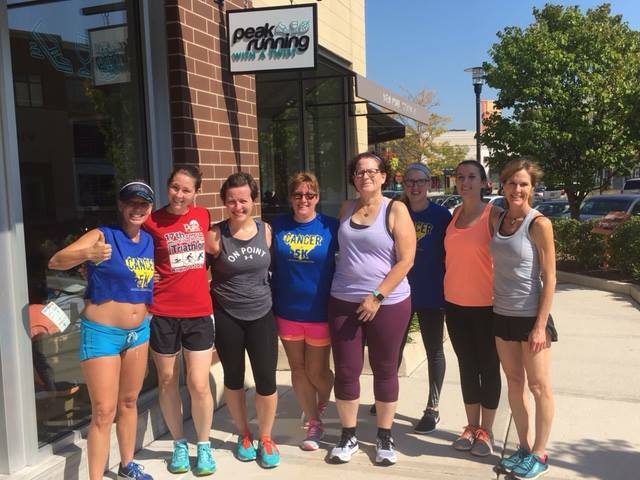 Also, with run clubs meeting and ending there- grabbing a beer, socializing, and getting to know the community better has gotten that much easier! Thinking about getting a new pair or running shoes or running with a group? Take a few minutes away from your computer, go stop by one of their locations, and meet their amazing staff. You won’t regret it, and maybe you’ll have a beer in the process!